Iceland seems like a small island nation, but if you’re planning on driving around Iceland, you’ll want to allow 2-3 weeks to complete the Ring Road route. We recently planned to spend one week in Iceland, so we opted to do aroad trip along the South Coast part of the Ring Road, instead of the entire circuit. 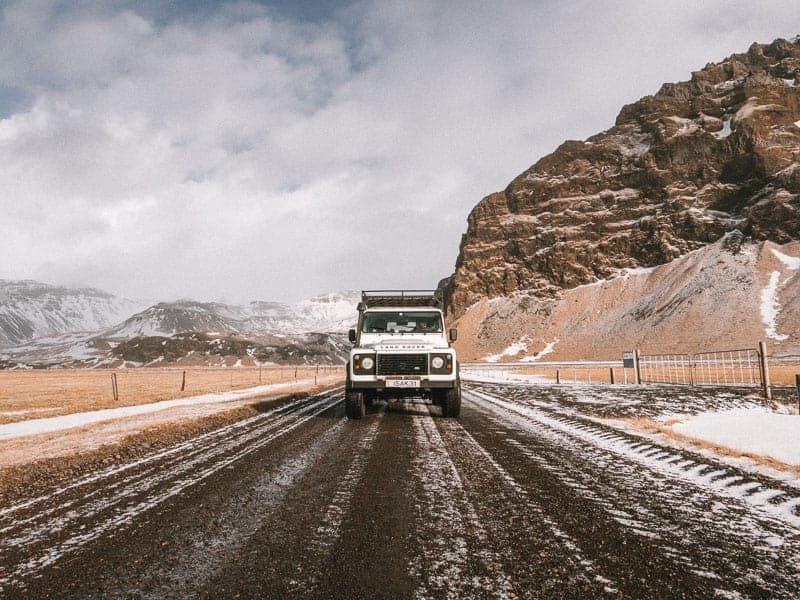 Driving in Iceland was a surprisingly easy, even in winter. The infrastructure is excellent, with the local Icelandic Met Office updating road and aurora conditions every few hours. And snow is regularly cleared from the main roads. 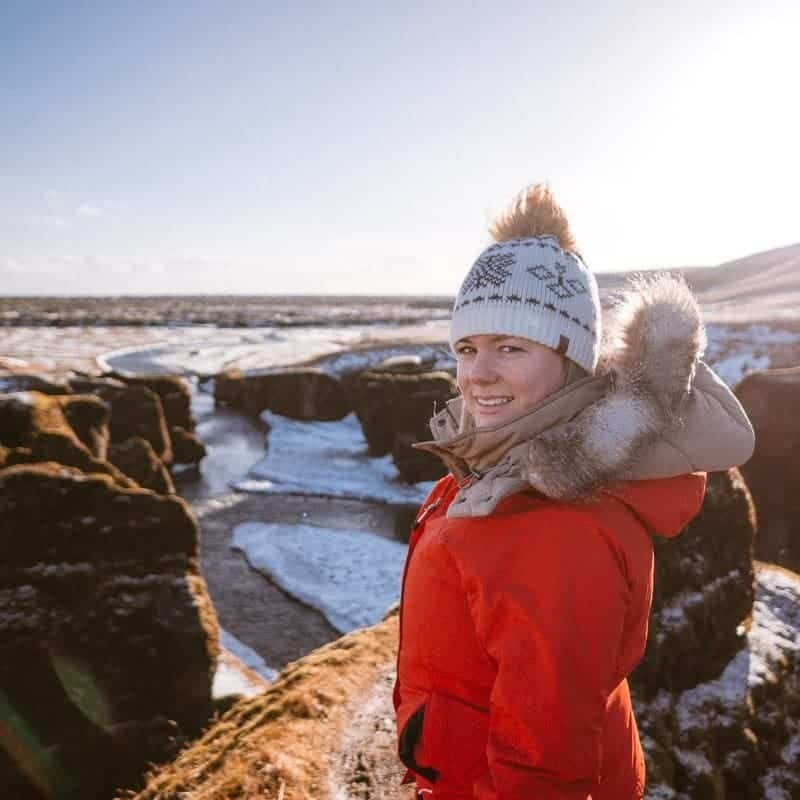 If you’re restricted to one week in Iceland, the South Coast part of the Ring Road, including the Golden Circle, offers many spectacular and popular tourist attractions, and even some relatively tourist-free ones. 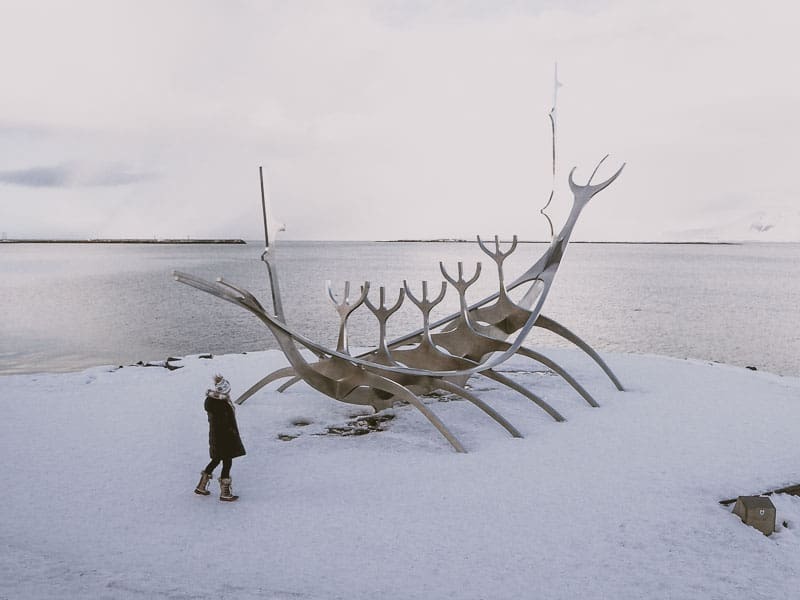 Before embarking on your Iceland road trip itinerary, spend the first two days exploring the lively capital city of Reykjavik. Enjoy the vibrant cafes and nightlife. From here you can also take a whale watching boat tour and stock up on supplies before you hit the road. Whales of Iceland – an educational exhibit about the magnificent mammals that occupy the waters around Iceland. Featuring life-size models! Harpa Concert Hall – a spectacular building on the Reykjavik Harbour featuring multicoloured windows and home to the Iceland Symphony Orchestra. Sun Voyager – a large boat sculpture set on the water that represents an ode to the sun, symbolising light and hope. 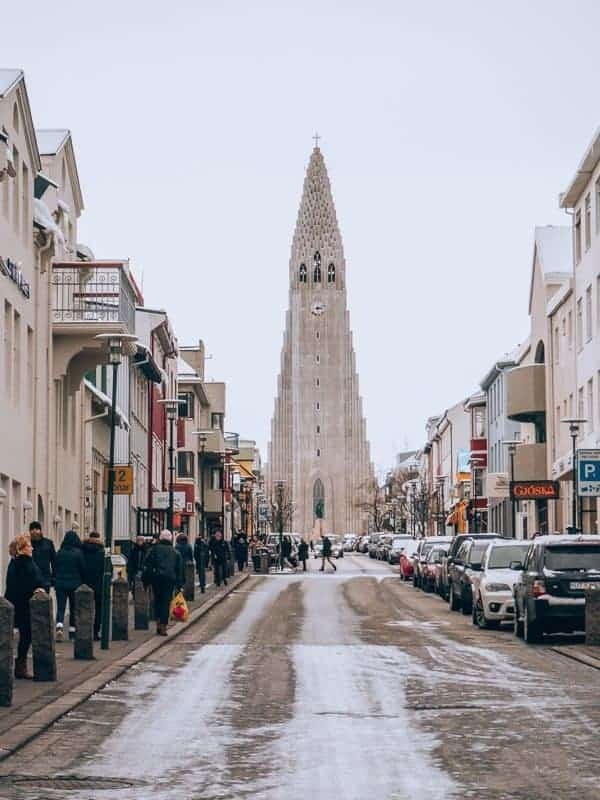 Hallgrimskirkja – is the Lutheran Church of Iceland. A spectacular building set on the hill, towering over the city. Admission to the town is ISK 1000 per adult. The Icelandic Phallological Museum – we stumbled across this quirky exhibit featuring an extensive collection of penises from many different animal species. Perlan – a Planetarium and science museum showcasing some of Iceland’s greatest natural wonders. The Planetarium show allows you to see a simulation of the Northern Lights at their finest. Reykjavik Roasters – a great coffee place that roasts their own beans. A great place to cure jet lag. Gló – the best health-focused café in town. We ate lunch here twice, it was that good. Think macro bowls, hearty soups, sweet potato fries, healthy burgers and kombucha. Kol Restaurant – Amazing Icelandic comfort food made from fresh local ingredients. The three-course set menu is the best value. Reservations are essential. Sandholt – a trendy bakery and patisserie – always a line-up. Svarta Kaffið – the best soup I’ve ever had! We ate here three times. Their concept is simple but tasty; two different flavours of soup each day, served in a bread bowl with an ice-cold beer. Dill Restaurant – Reykjavik’s signature Michelin starred restaurant featuring New Nordic cuisine and only a handful of tables that fill quickly. Advance bookings required. Fiskmarkaðurinn – translates to ‘The Fish Market’ in English. This place serves fantastic Langoustine (Icelandic lobster soup). Tasting menu or a la carte options available. Sumac Grill – Excellent Icelandic cuisine with a Mediterranean twist. Sandhotel – a boutique luxury hotel with modern luxe décor, located in the heart of Reykjavik. The staff here were very friendly and helpful with booking tours. Ion City Hotel – sister to the famous Ion Adventure Hotel just a short walk to most of the sights around Reykjavik. This boutique luxury hotel has its own stylish bar and restaurant, called Sumac Grill. Driving time: Approximately 2-3 hours, not including stops. 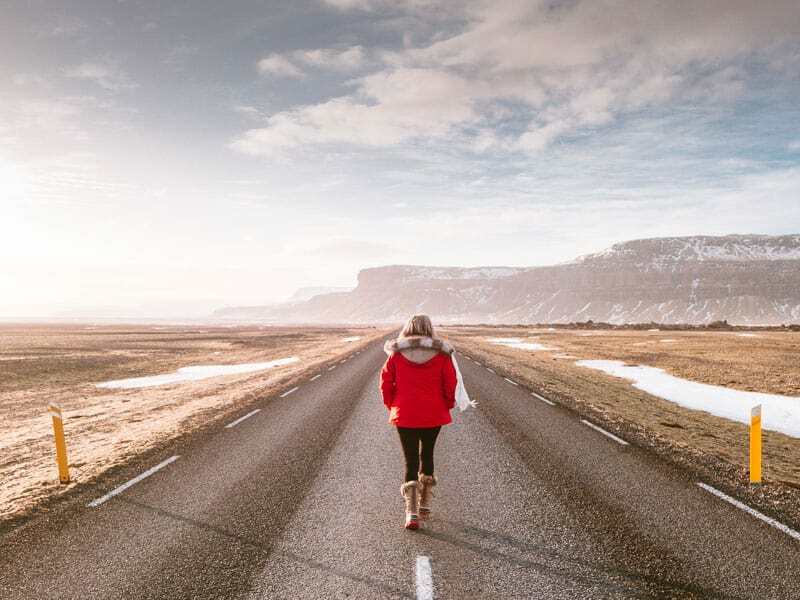 Make an early start on your southern Iceland road trip itinerary and set your GPS towards the Thingvellir Visitors Centre. 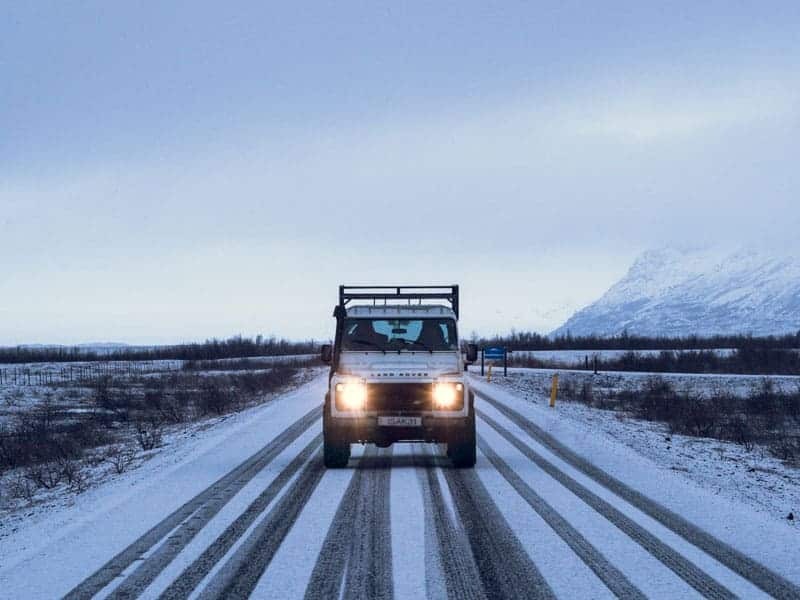 Be sure to check the road conditions on the local Met Office website before you set out, as driving in Iceland can be challenging under certain conditions. Thingvellir National Park is the birthplace of democracy in Iceland and home to Iceland’s largest natural lake Þingvallavatn. It’s also where the Silfra Fissure is located, a well-known area where you can dive or snorkel through the rift between the North American and Eurasian tectonic plates. Otherwise known as The Great Geysir, one of the most active in the Golden Circle’s geothermal region, this boiling mud pit erupts every few minutes, spouting water 30 metres into the air. Possibly the most famous waterfall in all of Iceland, Gullfoss is a massive waterfall fed from Iceland’s second largest glacier, Langjökull. Its sheer size and power will leave you in awe. And if you’re lucky you might get to see the shimmering rainbow emanating from the powerful spray. Given its proximity to Reykjavik, Gulfoss can get very busy, with tourists arriving throughout the day by the busload. There is a café at Gullfoss; however it can get very crowded, so I don’t recommend it. Friðheimar is a horticulture farm featuring hundreds of tomato vines and cucumbers. Visit their greenhouse and learn how Icelanders use geothermal energy to grow fresh produce in hothouses. Experience a unique dining experience amongst the tomato plants, booking essential. After lunch, head to Kerid Crater Lake to walk around the rim of the lake. The spectacular neon blue-coloured lake is a photographers dream, standing out against its red rocky surrounds. The Ion Adventure Hotel needs no introduction. 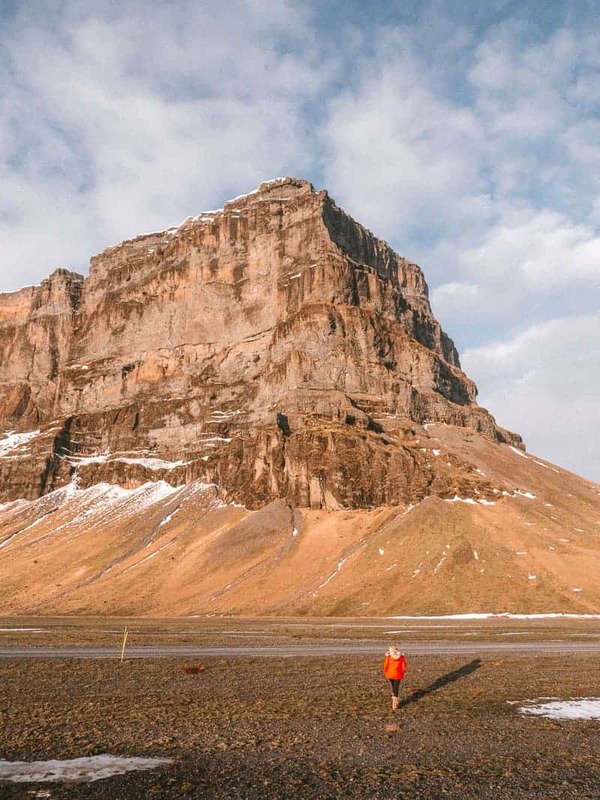 This luxury hotel located in the rugged Iceland wilderness, with its insta-worthy pool, organic luxe décor, welcome champagne and delicious Icelandic cuisine is well worth spending a night – or two if you have an extra day! 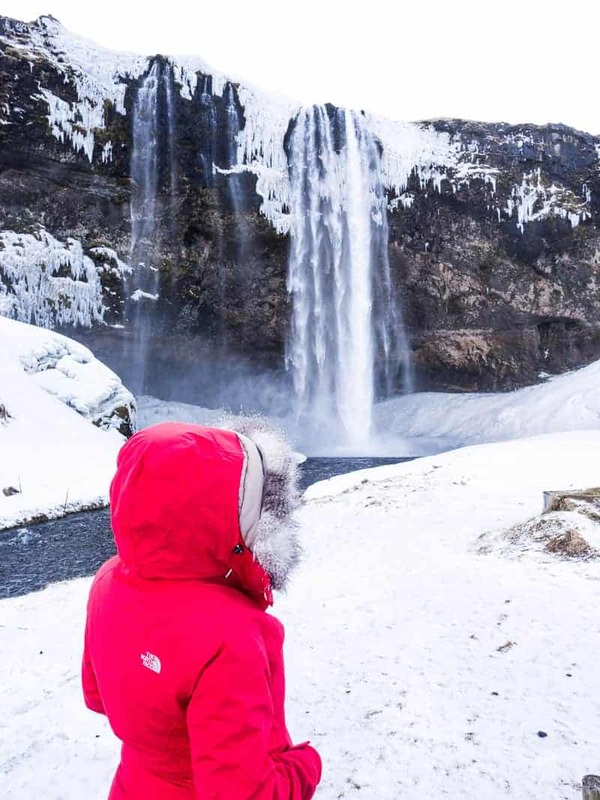 Extend your stay; spend an extra night at the Ion Adventure Hotel and explore more sights around the Golden Circle, such as The Secret Lagoon Hot Spring, go snorkelling in the Silfra Fissure, visit the spectacular Skálholt Cathedral or explore the Greenhouse town, Hveragerði. Seljalandsfoss is a spectacular 60-metre high waterfall just off the ring road. During the warmer months, it is possible to walk all the way around the waterfall. 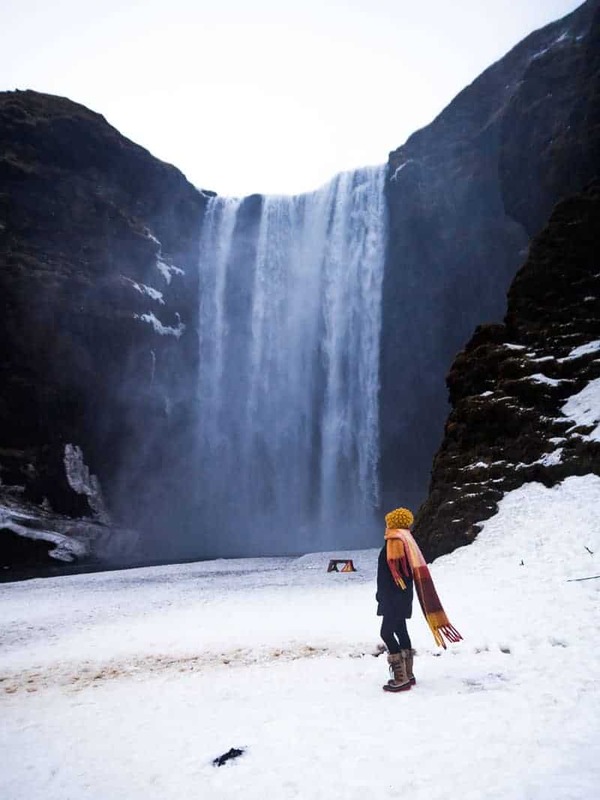 Located only a short walk from Seljalandsfoss, Gljúfrabúi is a smaller waterfall located behind a rocky cliff. It’s possible to hike inside the canyon for a more spectacular view of the waterfall. Undoubtedly one of Iceland’s most spectacular – and Instagrammable waterfalls. Unfortunately, you won’t have this place to yourself, as it’s very popular. The sheer force of Skógafoss produces so much spray that it’s not uncommon to see a rainbow when the sun is out. The hike up to the top of the waterfall is highly recommended! That plane wreck that was made famous by Justin Bieber. Most people don’t realise that it is actually a 4 km hike along a volcanic rock pathway to get to the plane wreck. While the walk is well worth it, make sure you’re prepared for exposure to the elements. Allow at least 2 hours return. 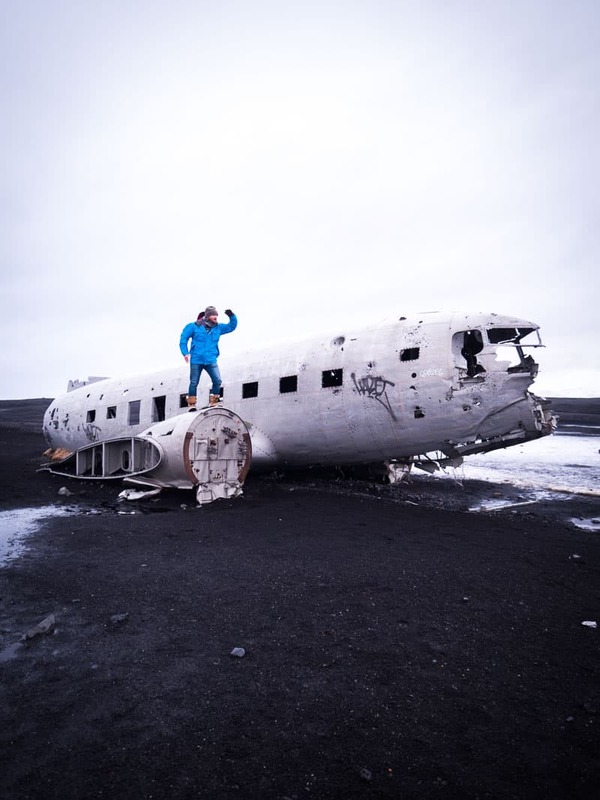 The plane wreck has become a favourite tourist sight but is also a photographer’s playground! If you want to get photos of the plane wreck without other tourists in it, start your hike at first light to arrive before the crowds. 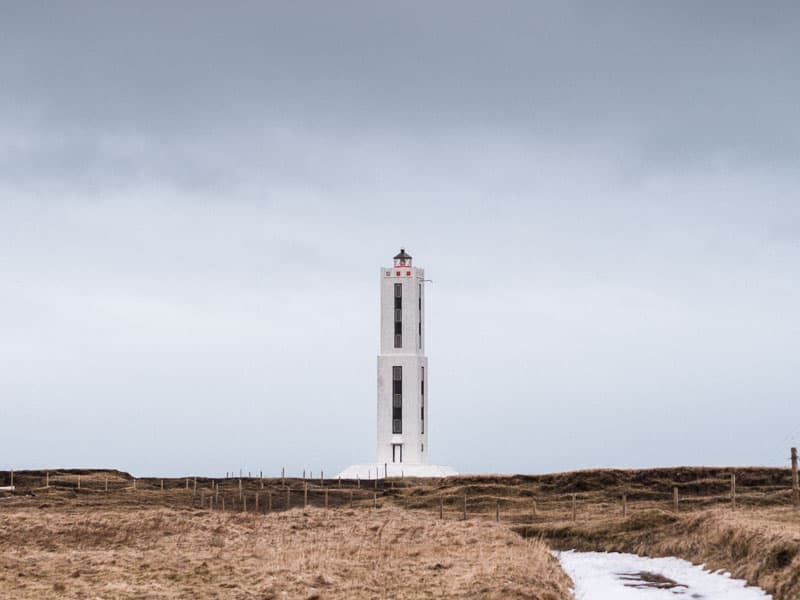 On the top of a clifftop promontory, overlooking the treacherous North Atlantic Ocean is a light station with spectacular views over Dyrhólaey, a naturally formed rock arch, as well as views all the way to Reynisdrangar and Reynisfjara, near the township of Vik. Spring/Summer time is nesting season for thousands of cute puffins so access to this area may be limited. We stayed at the Icelandair Hotel in Vik, a modern hotel with an upmarket restaurant and plenty of parking. Get up early to experience sunrise at Reynisfjara Beach. 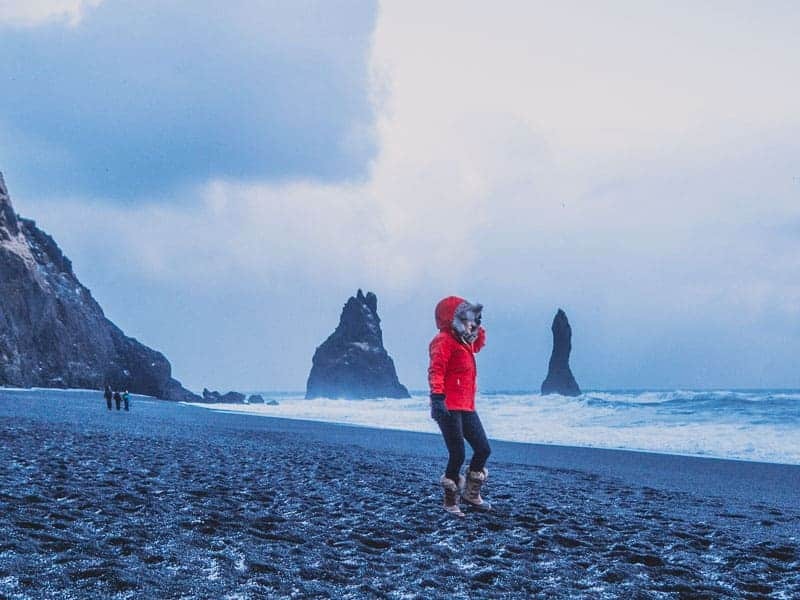 This is the iconic black-sand beach with enormous basalt stacks that feature in thousands of Iceland Instagram photos. It can get very popular during the daytime, be sure to get there early to beat the crowds. Shortly after driving east of Vík, the landscape changes into a spectacular mossy lava field landscape. Eldhraun is a great place to stop and wander around the lava fields and get a real sense of this amazing landscape. 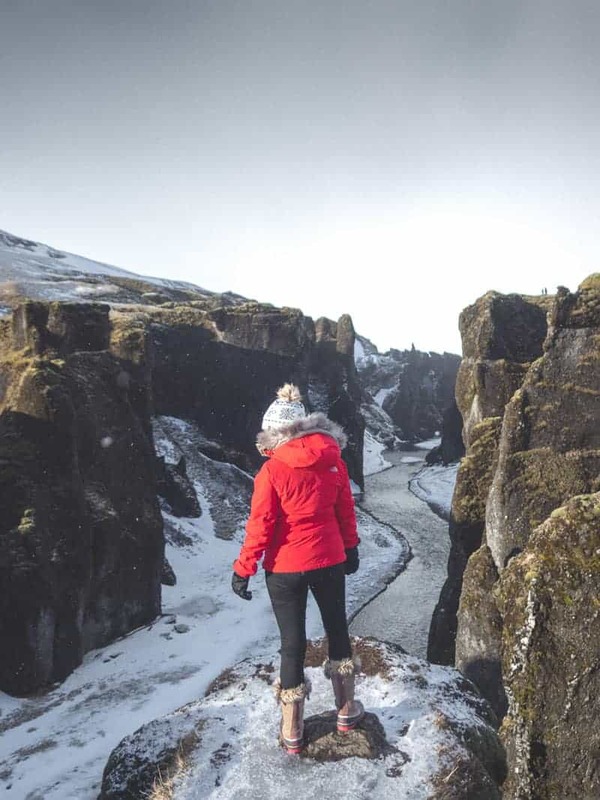 A short detour off the Ring Road will bring you to Fjaðrárgljúfur, a mystical canyon with a river running down the middle, that appears to go on forever. If you have an hour to spare, the 3km hike to the end of the canyon is well worth the effort. A short hike along a creek will bring you to a long thin waterfall surrounded by spectacular black basalt column formations. By far the highlight of the day will be crossing the bridge over Jökulsárlón to a spectacular view of this vast glacial lake with floating icebergs and bobbing seals. Time your arrival to coincide with the sunset for a magnificent photo opportunity as the ‘diamonds’ are deposited onto the black beach by ferocious waves. The Fosshotel Glacier Lagoon, located near the town of Hof, is a modern chic hotel on the Ring Road with a great restaurant and cosy bar. Driving time: Approximately 5-6 hours, not including stops. Day 6 will be mostly driving. I recommend using this day to stop off at any of the sights you may have missed on days 4 and 5. 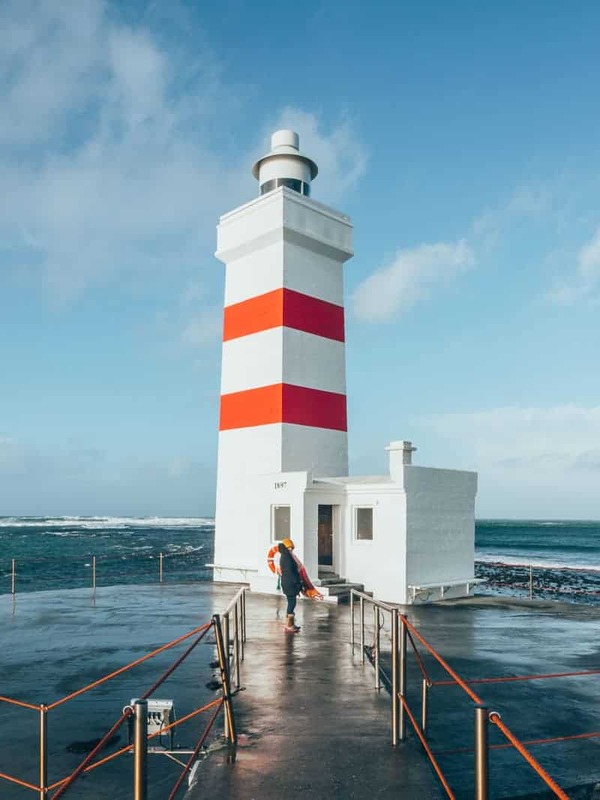 Once you reach Urriðafoss, head towards the coast and drive through the fishing village of Stokkseyri, towards Grindavik, for spectacular coastal views. If you opt to spend the night at the Silica Hotel, you’ll be able to experience the famous Blue Lagoon without all the crowds. 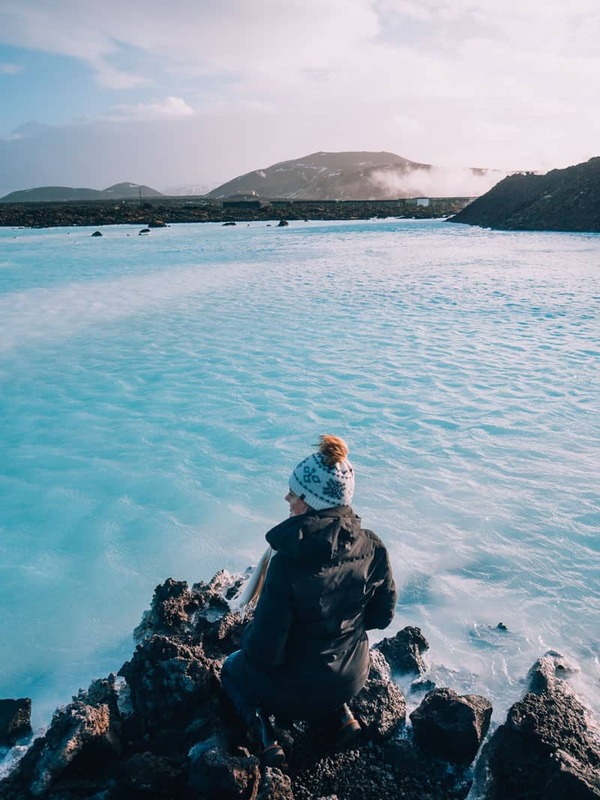 Before flying out of Keflavik International Airport, spend the morning relaxing in the famous Blue Lagoon. The Blue Lagoon is located a short drive from the airport and is the perfect way to finish your 7 day Iceland itinerary. 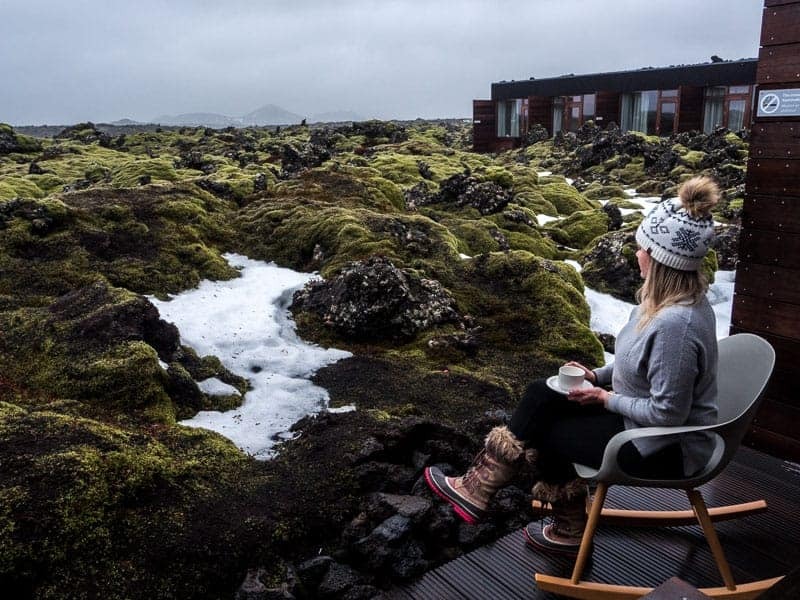 If you spend the night at the Silica Hotel, which I highly recommend, you’ll have the option of spending the morning soaking the hotels own private lagoon or take a short walk through moss covered lava fields to experience the actual Blue Lagoon. 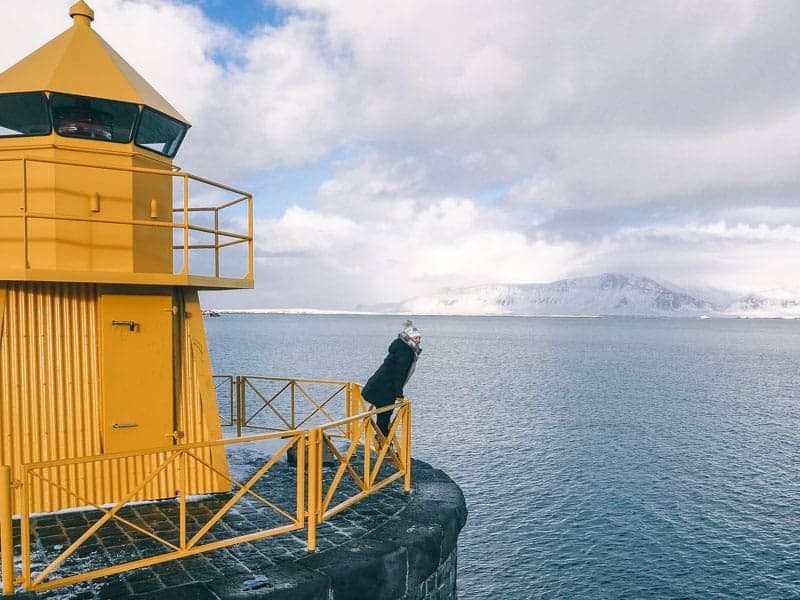 If you were lucky enough to book an evening flight, some other spots to check out include Sandvík and Sandgerði towns, and Garður Old Lighthouse. Not entirely convinced that you should fork out the cash to spend a night at the Silica Hotel? This video we made during our stay might change your mind. An extra 2-3 days is the perfect amount of time to add a side trip to the Snaefellsnes Peninsula. If you have at least 10-14 days, consider doing the full Ring Road trip. Continue East from Hof to complete the full circle. Currency – The Icelandic Krona (ISK) is the primary form of currency used in Iceland. At the time of writing, 1 USD was worth 120 ISK. 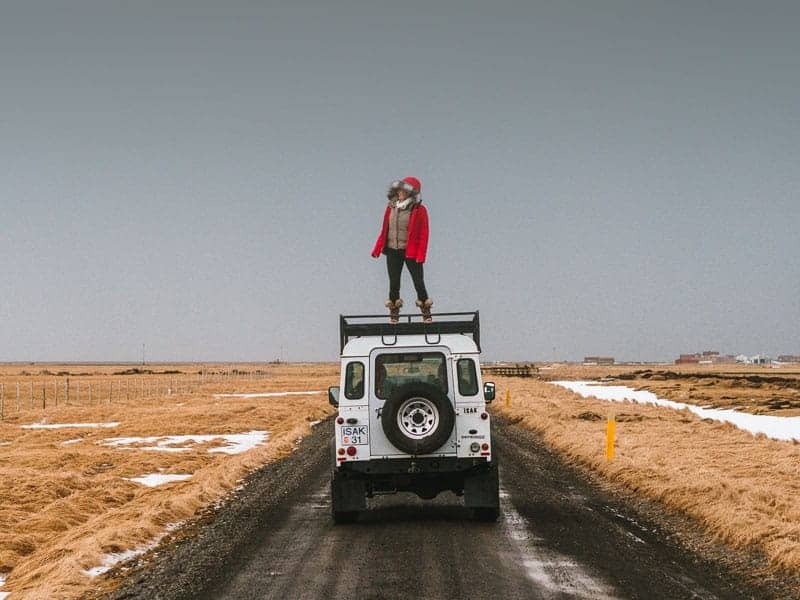 Getting Around – Public transport is limited outside Reykjavík, so you’re best to hire a car and self-drive. Best Time to Visit – Any time of year. There are many different things to do in summer, winter, spring and autumn. Be aware that December and January only have around 6 hours of sunlight hours per day. Don’t forget to bring – waterproof clothing, such as ski gear and raincoats. Language – Icelanders speak Icelandic, but English is also widely spoken. 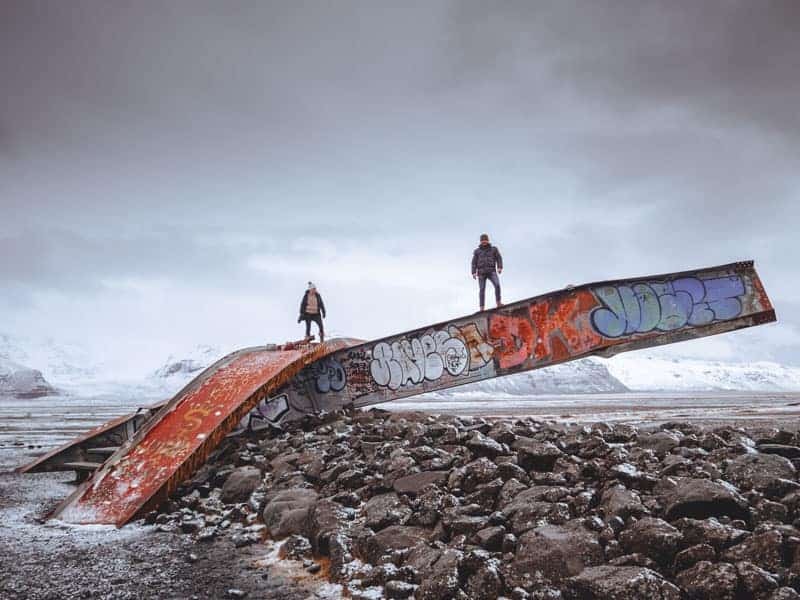 Safety – Iceland is a very safe country with a global safety score of 16 according to GeoSure (1 = low risk, 100 = high risk). However, be aware that driving on the icy roads can be dangerous, especially for tourists with little experience driving in such conditions. 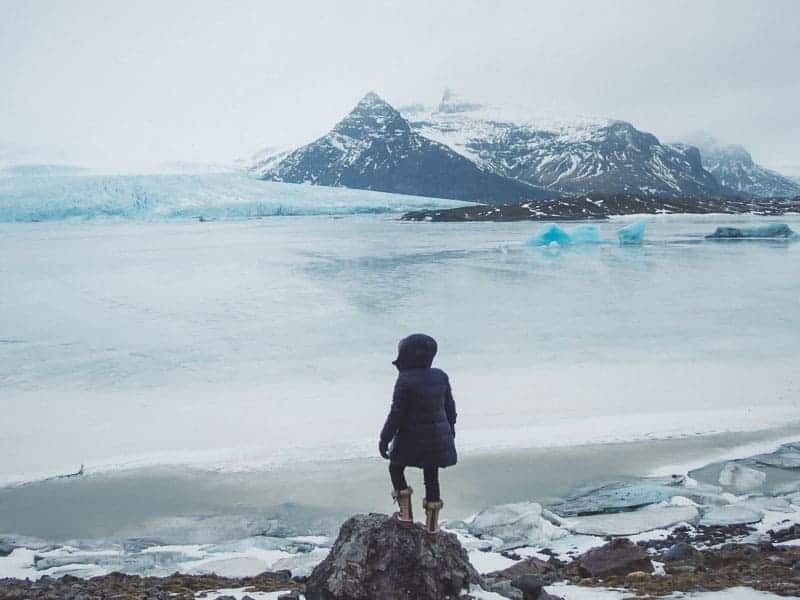 Are there any other great spots you would add to our 7 Day Iceland Itinerary? Let us know about them in the comments below. Fly Stay Luxe curates informative travel guides, affordable luxury travel tips, reviews on boutique and luxury hotels and inspiring travel photos. To keep updated with our latest articles and get inspiration for your next holiday, subscribe to our monthly newsletter.